Meet players, live band, canapes, lux venue. 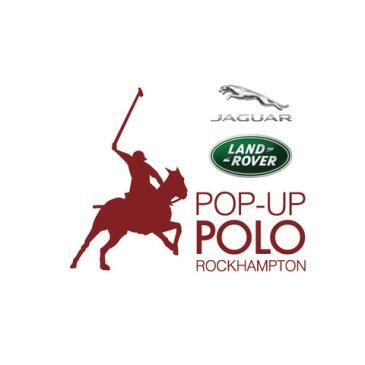 Headricks Lane will play host to theofficial launch of Pop Up Polo Rockhampton. You are invited to join with us to mingle with the players, sponsors,and key stakeholders in ‘The Upper Level’ venue while enjoying canapes preparedby our executive chef. A live band will entertain guests, between team shirt presentations anda live auction. Tickets are limited sodon’t miss the opportunity to be witness to this historical event. 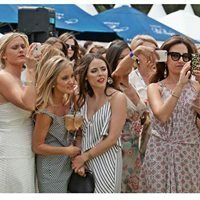 Meet star players and otherAustralian polo professionals in the casual ‘beer garden’ setting of the CanadianClub Polo Lounge, from where you can enjoy the polo and revel, in arelaxed environment, to the tunes of your very own DJ. Individual ticketsentitle the holder to entry, as well as additional entertainment such as ‘Fashionson the Field’, and the chance to win door prizes. Substantial food and snacks will beavailable at the bar, together with your favorite beer, wines and otherbeverages. Premium interior, chic gourmet lunch, fine wines & beers. The Victoria Park Polo Club is a brand new hospitality assetdesigned as a mid-way point between the VIP Marquee, and the public PoloLounge. Tickets include food and alcohol and position you in an intimate‘private club’ environment, providing the perfect vantage point from which toview all the action. In this chic and vibrant loungesetting guests will sip premium beverages, enjoy an abundance of deliciouscuisine and mingle in luxurious surrounds whilst viewing the action on the fieldfrom the very best location. With exclusive player interviews and expert hostcommentary, guests of the VIP Marquee will be at the heart of the polo action. The sport of royalty comes to Rockhampton in June. The world’s largest and most successful polo series returns to Central Queensland, bringing with it award winning entertainment, glamour, excitement, premium food, Champagne and the thrill of the world’s fastest ball game, presented in the guise of Urban Polo. Pop Up Polo is an experience that is difficult to forget or surpass. Luxurious interior, chic gourmet food, champagne, spirits, beer, wine and player interviews. The Polo Club is a brand new hospitality asset designed as a mid-way point between the VIP Marquee, and the public Polo Lounge. Tickets include food and alcohol and position you in an intimate ‘private club’ environment, providing the perfect vantage point from which to view all the action. 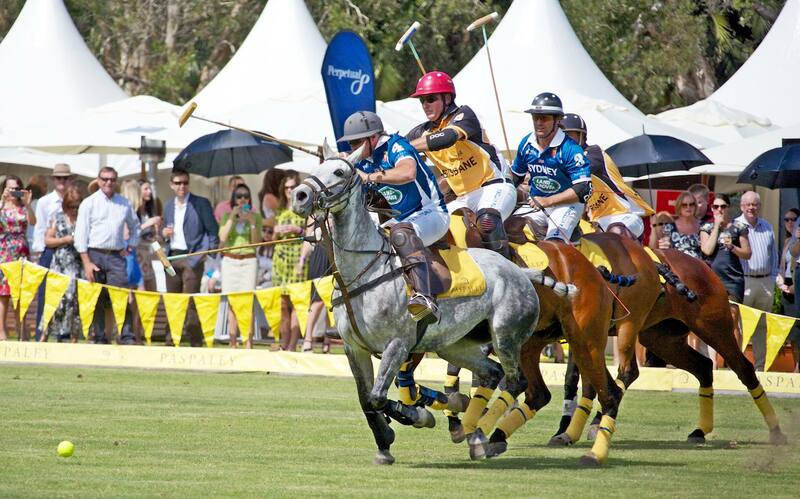 Premium interior, chic gourmet lunch, fine wines, beers and select spirits, as well as polo action and great company. Meet star players and other Australian polo professionals in the casual ‘beer garden’ setting of the Polo Lounge, from where you can enjoy the polo and revel in a relaxed environment. Individual tickets entitle the holder to entry, as well as additional entertainment such as ‘Fashions on the Field’, and the chance to win door prizes. Substantial food and snacks will be available at the bar, together with your favourite beer, wines and other beverages. Meet the players, DJ, shaded beer garden, cash-bar, ‘Fashions on the Field’ competition and lucky door prize giveaways. Headricks Lane will play host to the official launch of Pop Up Polo Rockhampton. You are invited to join with us to mingle with the players, sponsors, and key stakeholders in ‘The Upper Level’ venue while enjoying canapés prepared by our executive chef. The evening will include live entertainment, team shirt presentations and player interviews. Tickets are limited so don’t miss the opportunity to be part of this chic event. Meet the players, live band, canapés, team presentation, chic and luxurious venue with complementary drink on arrival. THIS EVENT IS STRICTLY 18+ AND ID MUST BE PRESENTED UPON ARRIVAL.